Human hair Clip-In extensions you will get the most natural look possible. Indian hair matches most peoples texture better that any other. High quality natural Remy hair blends perfectly with your own. Clip-in hair extensions are the fastest way to add volume and length to your hair, but it doesn't have to look like it just took a minute. 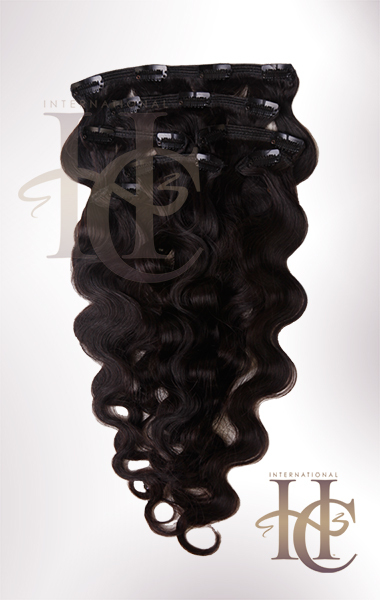 With high quality virgin Remy clip-ins nobody will ever know your wearing extensions. The hair can be curled flat iron or styled any way you want. The hair is natural so it can be colored or high lighted for that more custom look. This is such great quality hair that this could very well be the last clip-in you will ever buy. These clip-ins are fantastic. I bought them about a year ago to add length, and I'm still using them. I love these extensions! Thank you Inhairco for helping me look flawless! I've been buying the clip-ins for years! Shipping is always fast and quality is always great! I have gotten the virgin remy straight hand-weft before as well. Everything has lasted at least 1yr. Awesome clip-ins!!! I love the hair and the customer service is incredible! I forgot to enter the promo code for the hair I purchased, but I called in and was immediately refunded the promotion amount! I will definitely be ordering again and again!